Erin's Creative Energy: I'm In The Finale!!! Today is a big day; seventh wedding anniversary, first day of kindergarten for my oldest and I am in the finale of So You Think You're Crafty! Could today be any more exciting?!? The Finale is a wild card. We could do whatever we wanted and my philosophy was to, "GO BIG or GO HOME!" 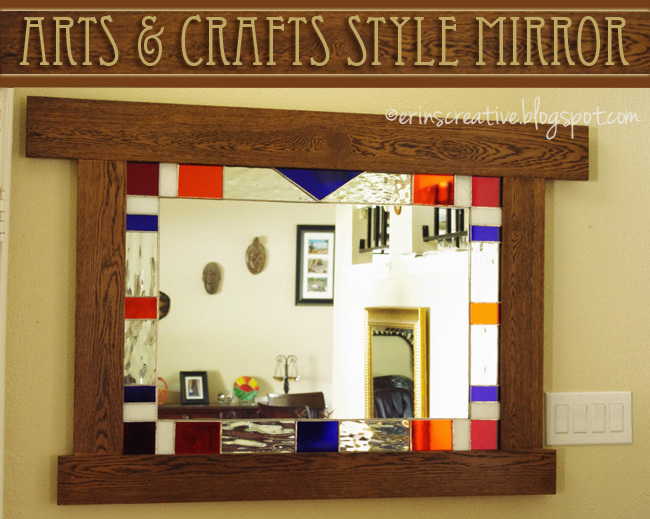 I went big and hope you love my Arts and Crafts mirror as much as I do. I spent a lot of hours building this entire piece. Each and every detail was done by my hands. I would appreciate it if you go and vote here.